Welcome Back! The Junior League of Austin is comprised of 2,500 women who are dedicated to volunteerism. We are excited about the possibility of you returning to join our mission of service to Central Texas. If you’re interested in reinstating your membership within The Junior League of Austin, please know there are several ways to be reinstated. However, each must be initiated by filling out the change in status form and be sure to mark reinstatement. Once complete, you will hear from the Membership Advisor. The Membership Advisor will walk you through next steps and be your guide during the change in status process. After the form is completed, dues must be paid. Reinstatement becomes effective only when a member has paid the reinstatement fee and her annual dues (as provided by the General Policies) and her reinstatement has been approved by the Board of Directors. In general, Board Meetings occur the last week of each month. Once reinstatement is effective, the member is expected to fulfill all Active Member requirements: General Meetings (number required as per reinstatement date), Placement (if reinstating prior to February), and A Christmas Affair (if on or before November 1st). The Membership Advisor will walk you through all of your obligations. A dropped member may be reinstated by the Board of Directors upon payment of a reinstatement fee, all back dues since the year the member was dropped, the fine assessed during the year(s) of delinquency, and the current year’s dues. The Board may waive a portion of back dues at its discretion. An Active member who has resigned “not in good standing” due to unmet A Christmas Affair obligations or placement obligations may apply for reinstatement by submitting the Change of Status Form (insert link). A member may be reinstated by the Board of Directors upon payment of a reinstatement fee and placed in a status of “not in good standing” for a probationary period of twelve months. At the end of such twelve-month period, the member may be returned to “good standing”, provided she is on track to meet her membership requirements. 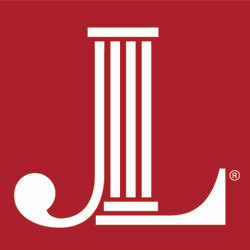 If you have resigned or if you have been dropped from The Junior League of Austin and would like to Transfer to another League, you must first reinstate your membership with The Junior League of Austin. Simply let us know that you would like to reinstate your membership and provide us with your current contact information, the approximate date you left the League, and your AJLI member number (if available). If you have a question about the timeline of dues or fees associated with reinstating your membership, please contact the Membership Treasurer at MembershipTreasurer@jlaustin.org or the Membership Advisor at MembershipAdvisor@jlaustin.org. Click here to fill out the Change of Status form online. Questions about a Change of Status? Email the Membership Advisor at MembershipAdvisor@jlaustin.org or the Membership Vice President at MembershipDevelopmentVP@jlaustin.org.